mAh per display square in. 309mAh/sqrin. 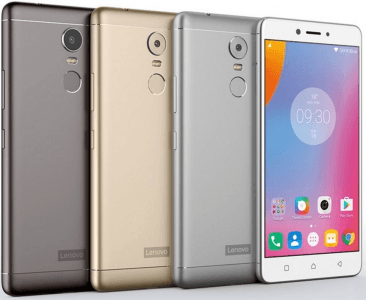 The largest and most-advanced out of three initial K6 variants, Lenovo's K6 Note accompanies its 5.5-inch Full-HD-1080p display with a hefty 4000mAh battery promising up to 2760 minutes of 2G calling time and up to 25 days on standby. 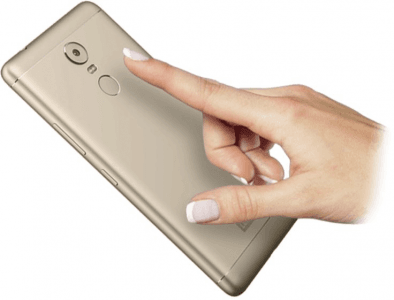 Working alongside its large battery are a 1.4GHz Snapdragon 430 octa-core processor and 4GB's worth of RAM, while a 16-megapixel dual-CCT-flash rear camera and the Dolby Atmos audio technology lead its multimedia specs. 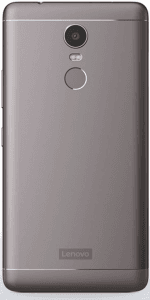 Additionally, it touts a rear-mounted fingerprint scanner, an 8-megapixel fixed-focus front camera, and a 32GB memory with support for 128GB of external storage. This Marshmallow-sporting high-ender is offered in dark gray, gold, and silver. Pros and Cons Review The K6 Note certainly packs a high-end punch, with a 4GB RAM and a 4000mAh battery in tow, but 4K imaging is nowhere to be found. Find out more about its pros and cons in our technical assessment here. (more) Compare Side-by-SideCompare it with similar phones. More Lenovo phones See all the recent Lenovo phones.